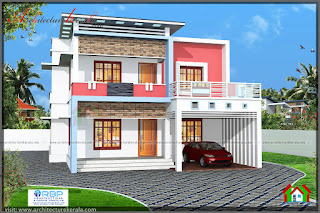 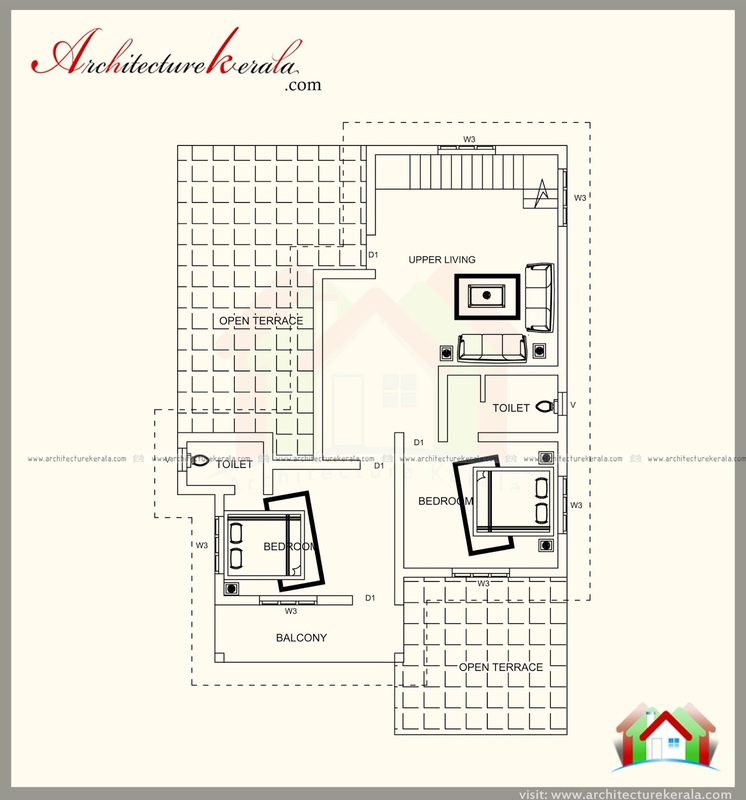 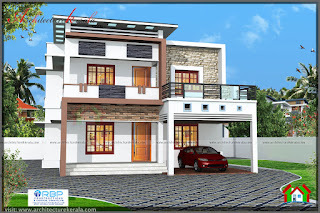 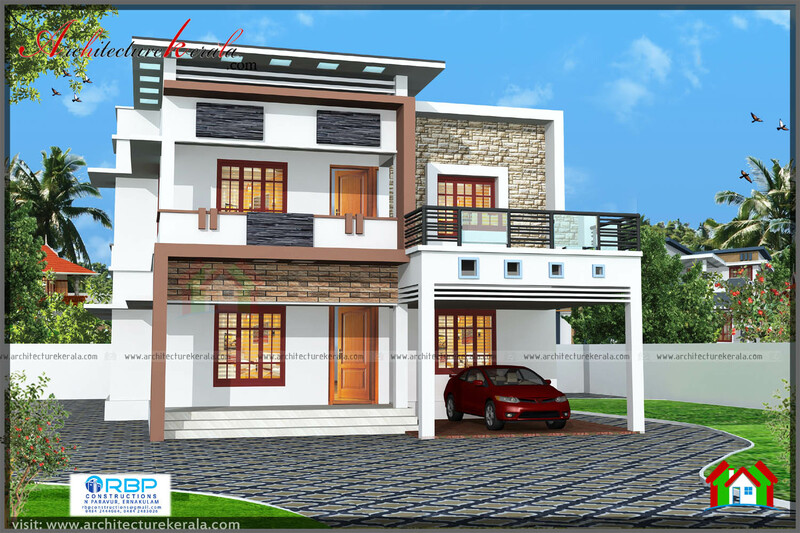 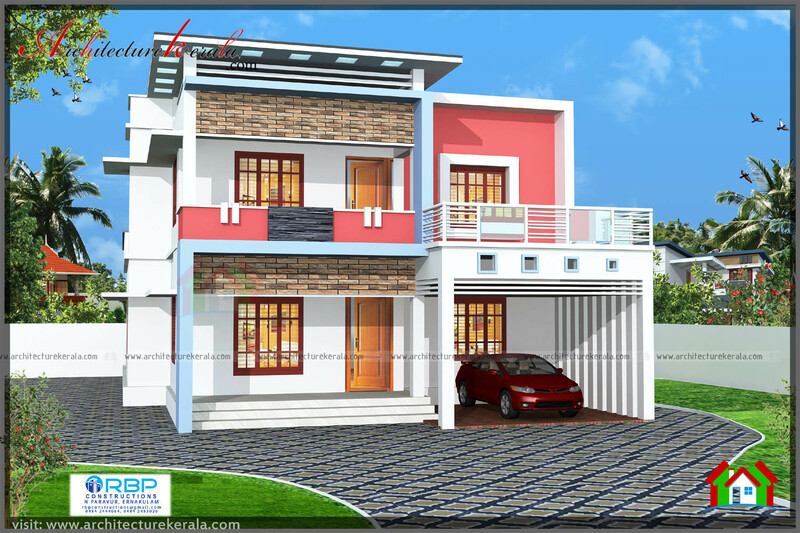 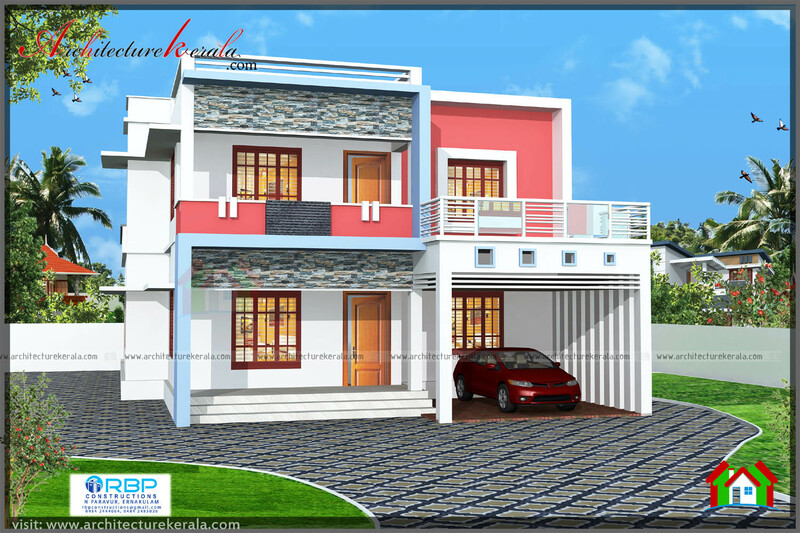 Contemporary style house plan and three elevations, Four bedrooms are attached with bathrooms and , kitchen with work area , drawing , dining , car porch . 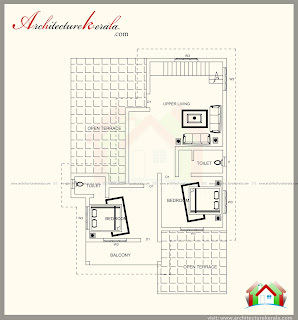 Two bedroom with attached bath, sit out , drawing , kitchen with work area,car porch . 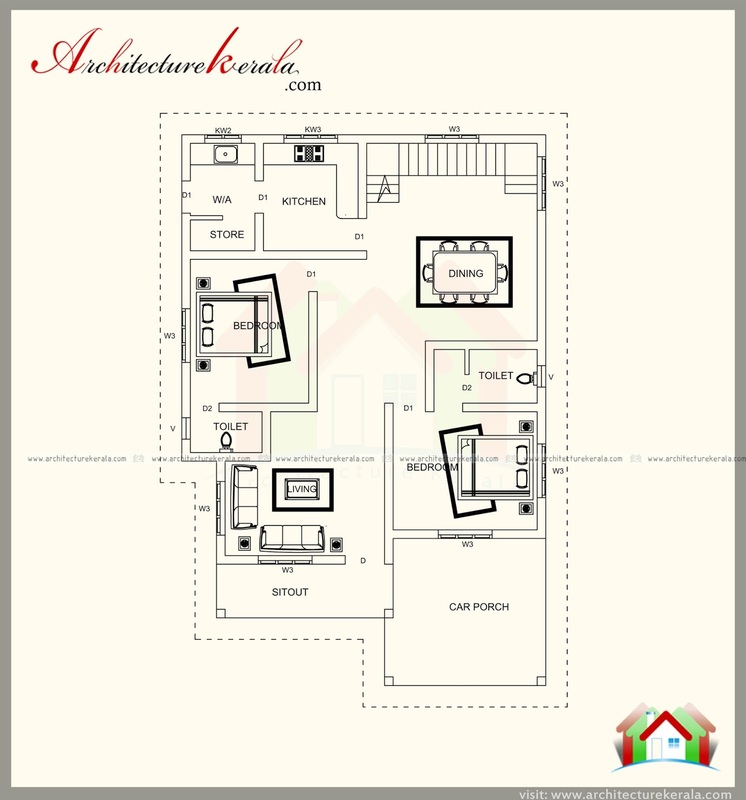 Two Bedrooms attached with bathroom , upper living , balcony .